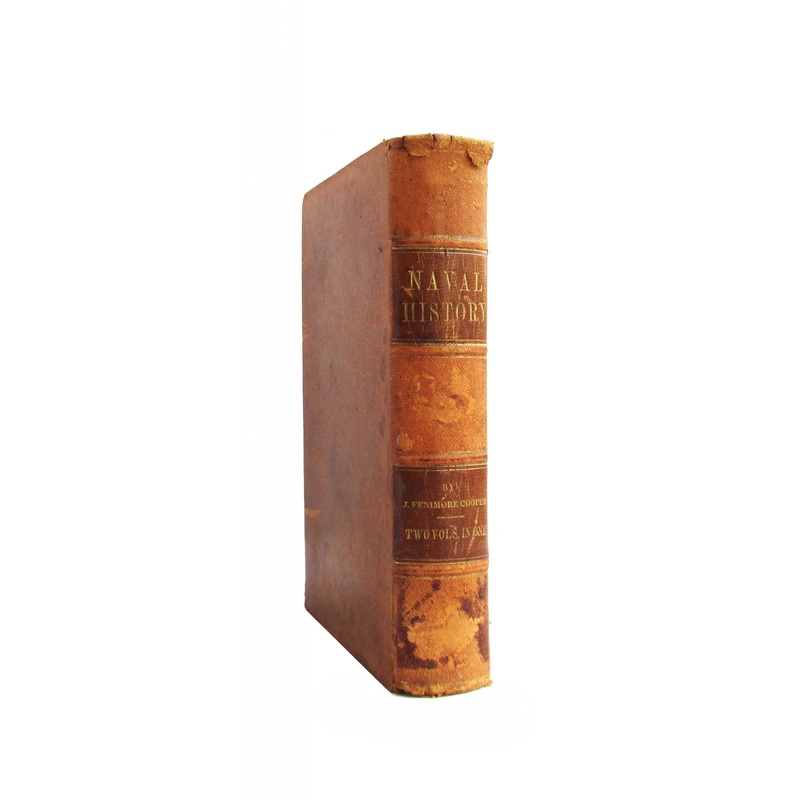 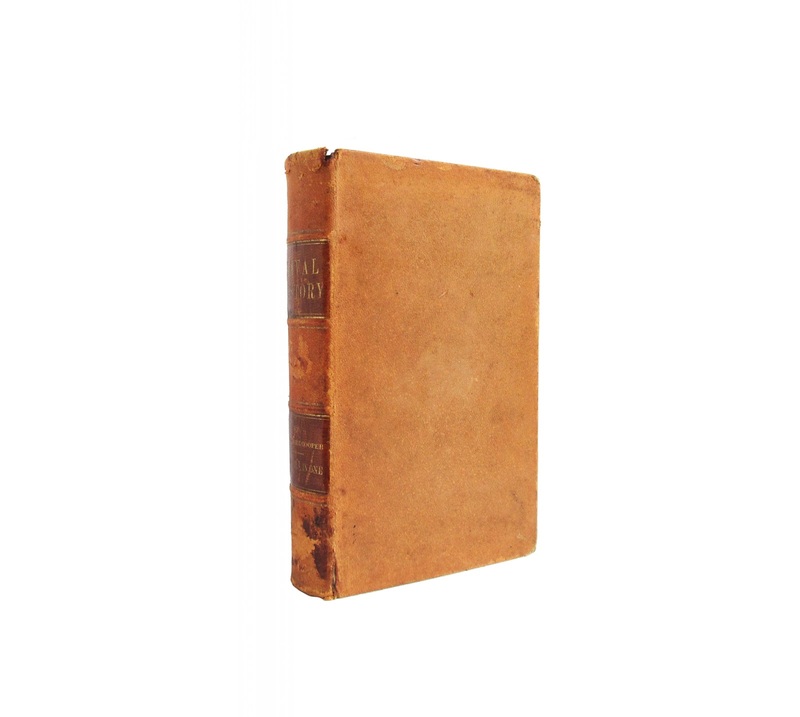 This antique leatherbound book has brown leather spine labels with gilt lettering. Some chipping and wear to leather; light foxing to endpapers; bookplate and inscription on front endpapers; most inner pages clean, binding feels sturdy. Vols. 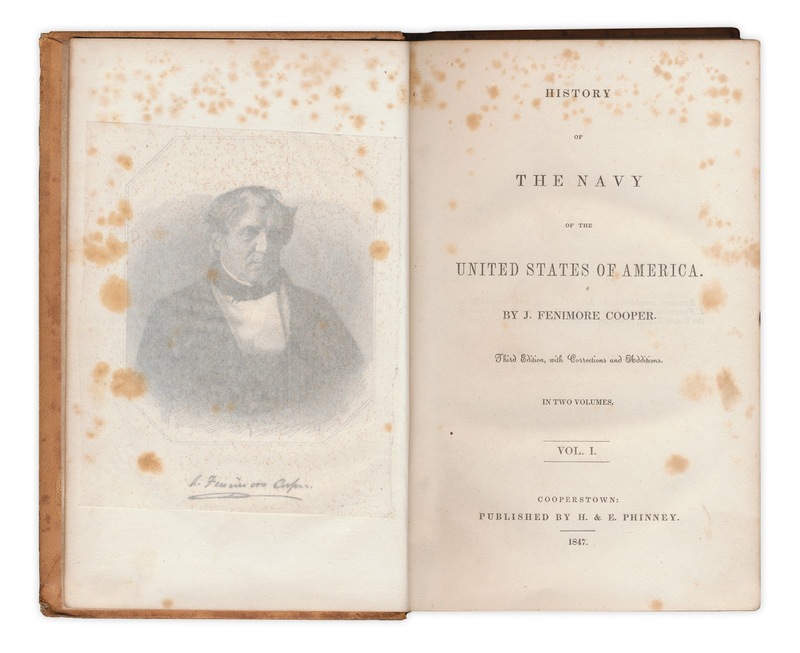 1-2 of Cooper's history of the Navy are contained in this single volume, which was published in Cooper's home town of Cooperstown, N.Y. Full-page engravings throughout. 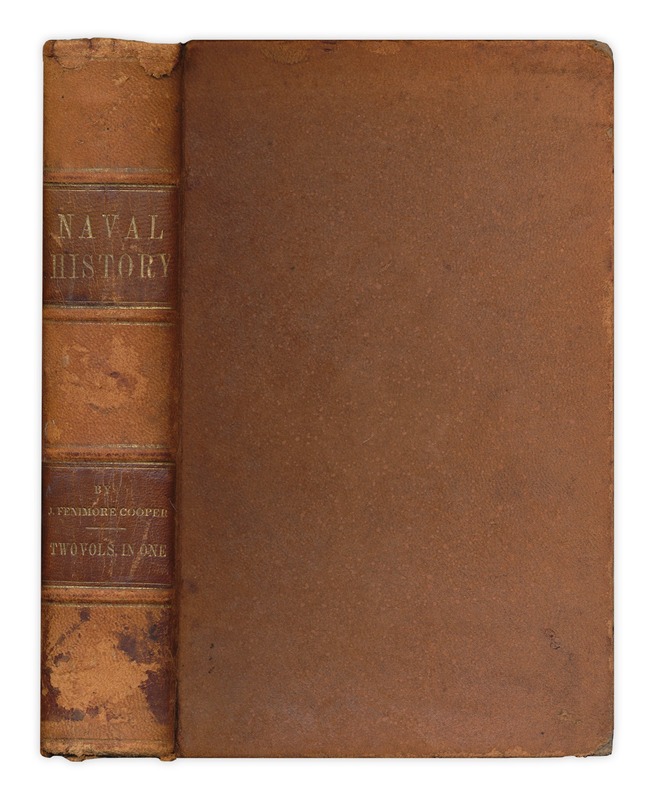 About 525 pages, 7"x9".